The readings from the Second Sunday of Advent hearken to our real home in the New Jerusalem (see Father Z's blog post for today). As such, the stational church in Rome for today is Santa Croce in Gerusalemme (the Holy Cross in Jerusalem). 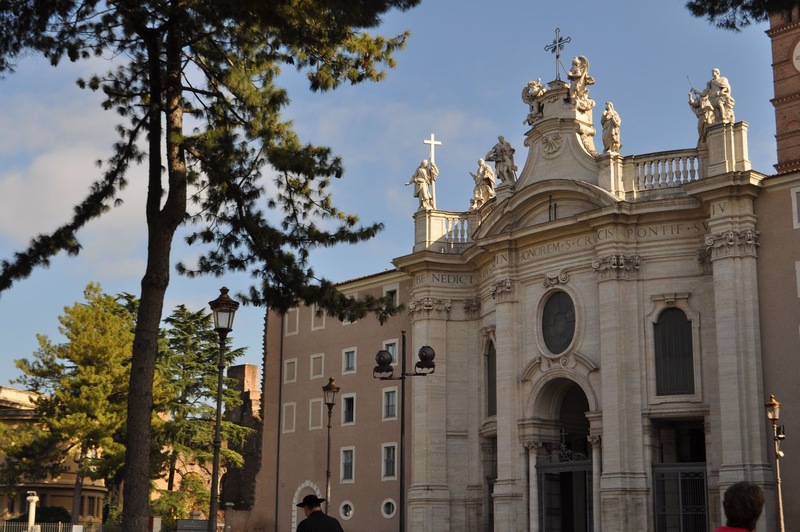 It is the Church that was built on the site of St. Helen's home in Rome. It houses the relics of the true cross, thorns from the crown of thorns, the INRI plaque from the cross, and St. Thomas' finger which he put into the side of the Lord.